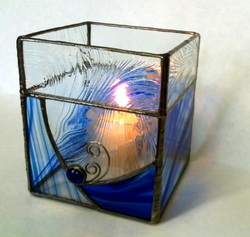 wire flourish and cobalt glass gem. 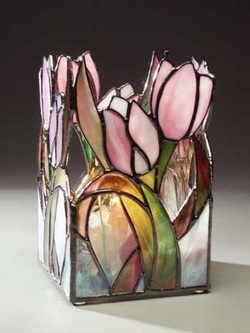 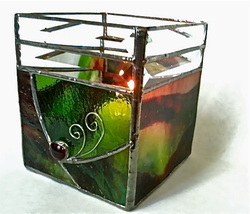 wire flourish and deep red glass gem. 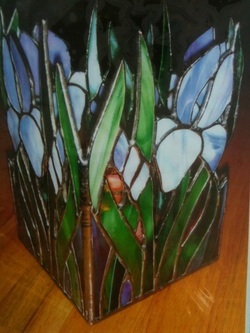 wire flourish with deep purple glass gem. 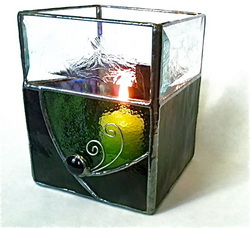 Candle Votive $325.00 + S.&H. 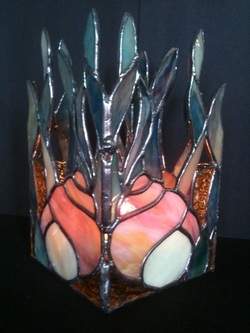 Scallop Shell Jewel Box $65.00 + S.&H. 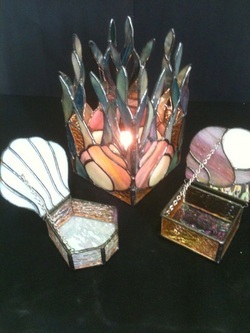 Conch Shell Jewel Box $75.00 + S.&H.